Robert (Bob) Isaac Lewis, II departed from this life on January 10, 2019 at his home in Granger, Indiana with his wife, Margaret, lovingly by his side. Bob was born February 20, 1941 and was the son of Howard and Venita (Young) Lewis. Bob was a proud graduate of Carlisle High School (c/o 1959), Penn State University (B.S. c/o 1972) and Syracuse University (M.A. - Masters c/o of 1973). Bob was also a veteran, having served in the Air Force from 1961 - 1965. Bob's love for education was evident throughout his professional career. Bob held executive administration posts at Norfolk State University, the University of Arkansas at Little Rock and Talladega College. 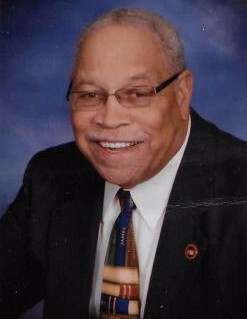 His career within the higher education realm culminated as Associate Director for GEM - The National Center for Graduate Education for Minorities, housed at the University of Notre Dame, from which he retired in 1997 after seven years. Bob also served as Executive Director of the Council on Aging/Elkhart County (IN) from 2002 - 2008. Bob served God. He was a devoted member of various churches throughout his life; and answered the call to ministry in 1997. He served as Pastor of Coleman Chapel African Methodist Episcopal Zion Church (Elkhart, IN) from 1997 - 1999; ordained as a Baptist Minister in 2000 and served as an Associate Minister for Greater St. John Missionary Baptist Church from 2000 - 2004. His final ministerial post was as Associate Pastor at First United Methodist Church (South Bend) from 2011 - 2013. Bob also served the community of South Bend in numerous capacities, including volunteering as a CASA with the St. Joseph County Probate Court, a member of the 100 Black Men of Greater South Bend and as a mentor with South Bend Community School Corporation. His civic leadership roles included being on the Executive Board of the LaSalle Council, Boy Scouts of America; and serving as President (2011) of the Knute Rockne Memorial Kiwanis Club of Granger. Bob was also a proud member of Alpha Phi Alpha Fraternity, Inc., serving as President of the Theta Xi Lambda Chapter (South Bend) in 2011. He also had fun with the South Bend Bridge Club, the Men's Only Bridge Club and the Par Putter Golf Club. Bob is survived by his beloved and devoted wife of 47 years, Margaret Lewis of Granger; one daughter, Cherai Marie Lewis; two sons, Brian Robert Lewis and Jeffrey Robert Lewis (Laura); four grandchildren (Miya, Micah, Miles and Moriah) and a host of relatives, friends and fraternity brothers. The Celebration of Life Service will be held on Saturday, January 19, 2019 at Greater St. John Missionary Church, 101 N. Adams Street, South Bend, IN, 46628. The Visitation Hour will be held from 11:00 am - 12:00 pm. The funeral service will start at 12:00 pm.